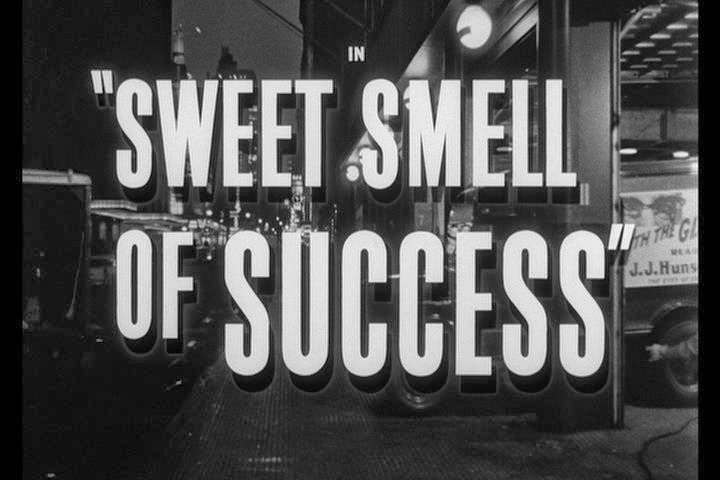 Vintage Shadows: "Sweet Smell of Success"
Today's film is the 1957 feature "Sweet Smell of Success." It was directed by Alxeander Mandrick and stars Burt Lancaster and Tony Curtis. It's unique in that its not ostensibly about crime. There are some petty crimes, sure, but mostly it deals with actions that are unethical rather than outright immoral. I mean, nobody gets murdered in this film. 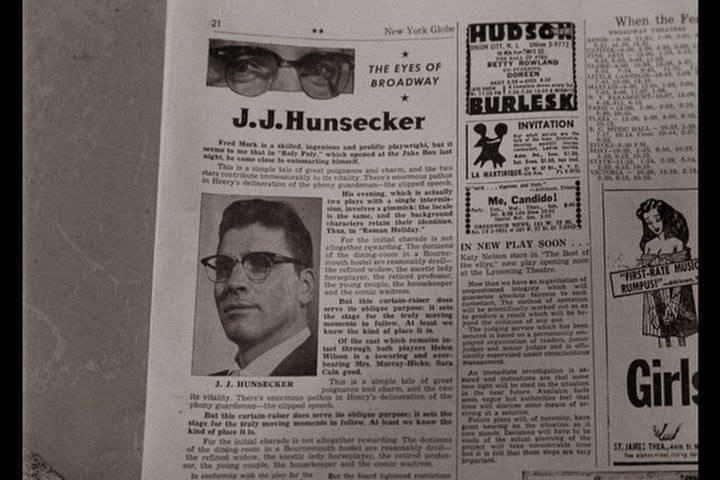 The film is about columnist J.J. Hunsecker and his publicity agent friend/associate Sidney Falco. Falco depends on J.J. to give his clients mentions in the column, so in return Hunsecker asks Falco for a favour. Falco is to break up the romance between J.J.'s sister, Suzie and her jazz player friend Steve. The film follows Falco's attempts to do this as, at the same time, he tries to make a name for himself in the world of 50's gossip and press. 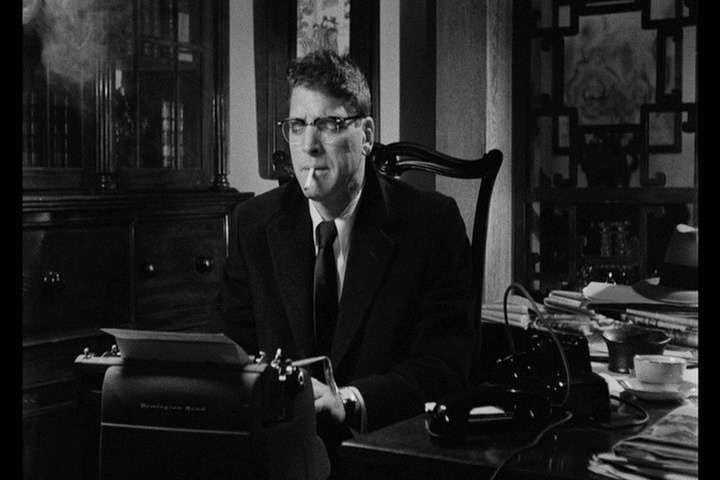 I would say our protagonist is Sidney Falco, despite Burt Lancaster getting top billing. He's introduced first (in person, anyway), where we get a look at what drives him in the form of a speech he delivers to his secretary. The film, I would argue, follows his story a bit more closely than it does J.J.'s. 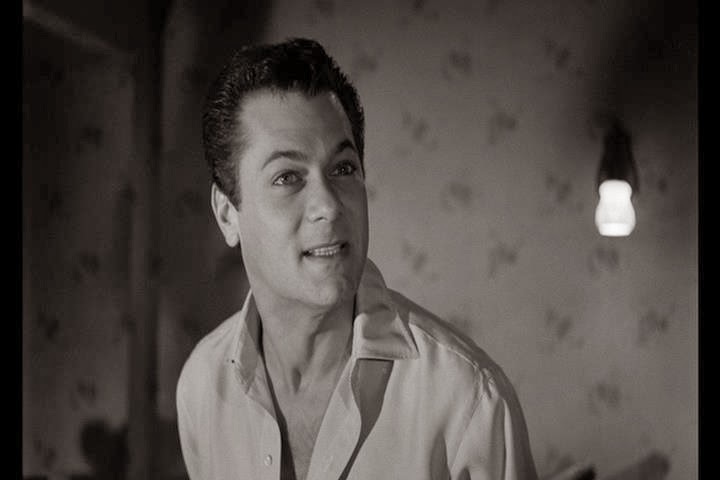 Tony Curtis manifests Falco as quick witted but also quick tempered, these two traits complimenting each other in the form of scathing insults for those he perceives as slighting him. I assume that J.J.'s actor, Burt Lancaster, is part owner of the company that produced the film, Hill-Hecht-Lancaster Productions. The Lancaster being in the name is my most obvious clue. Anyway, this could be the reason that he is given top billing. Alternatively, he could have been more famous than Tony Curtis at the time of the film release. Or maybe I'm wrong and he really is the protagonist. At any rate, he gives a captivating performance as J.J., bringing incredible presence to his roles and lines. 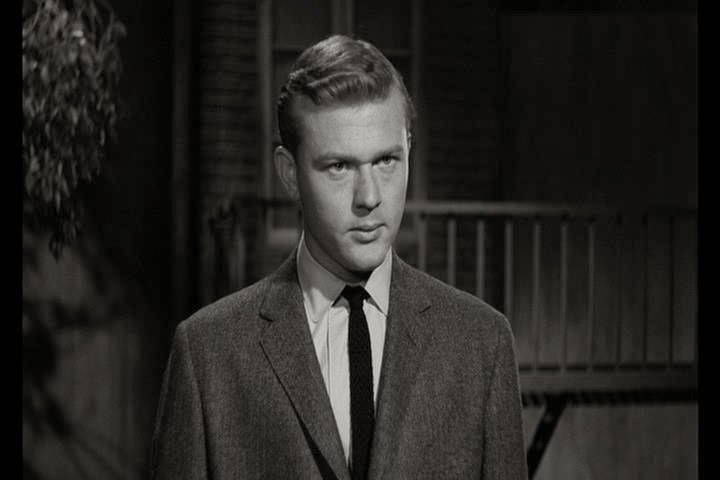 However, this is one of those roles in which the character overshadows the actor. J.J.'s name is first introduced to us on the side of a newspaper truck, showing that his presence extends beyond the merely physical. He becomes almost mythic in stature. There is one main femme in the film, Suzie Hunsecker, played by and she definitely isn't a femme fatale. As J.J.'s sister, she lives constantly under his watchful eye, each action she takes earning approval or disapproval. The trait that initially defines her is her love for Steve, but as the film goes on this becomes more of a mark of her determination to live life on her own terms. Finally, our fourth player, Steve Dallas. 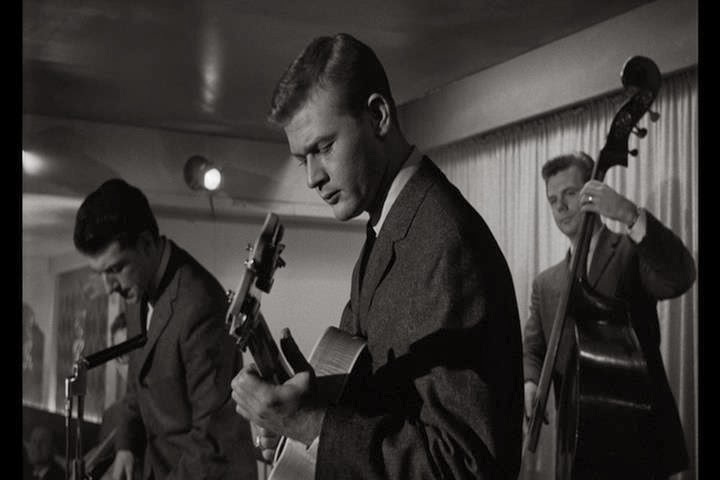 Hes the artsy type, playing in a Jazz quartet. His role is a subversive one, I feel. He gets associated with drugs and left-leaning politics, as opposed to J.J.'s fevered patriotism, and is not, I feel, portrayed negatively because of this. He's not the protagonist, but he's definitely not a "bad guy." Next to J.J. and Sidney, he appears in a flattering light, and you want to root for him. retorts, J.J.'s framed ideologies, or Steve's earnestness, this is a film that has a lot to say. Each line is loaded with emotion and there are plently of colourful, clever and meaningful metaphors. Even lines that seem initially throwaway come back to seem relevant. For example, Sidney mentions offhand that he's leaving his coat behind so he doesn't have to pay coat checkers. Later, J.J. asks, "Where's your coat? Saving money on tips?" Not only is this amusing, but it makes you think about the way Sidney acts and the way he is viewed by J.J., as small time and cheap. I also noticed the music in this film. What I noticed is, I'm sure, contained in many films but for some reason I noticed it in this film. Its lazy and wistful in some scenes, blaringly dramatic in others; essentially it changes to fit the mood of the scene. I don't want to post any examples for fear of spoiling things, but you'll definitely notice it upon a viewing. This film is unique to me. 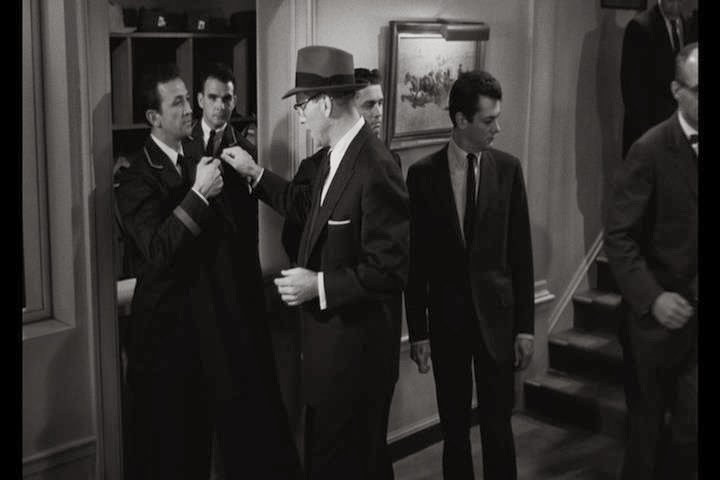 Obviously not all noir protagonists are perfect, but this is a clear cut example of the protagonists being "the bad guys." They're portrayed as unethical, bringing them into conflict with the young idealists. So it's interesting, but I should mention that not a single bullet is fired, so if you're looking simply for desperate characters in desperate situations acting desperately, this one might not be for you. Best line: "With a simple flick of a switch, I could shut out the greedy murmur of little men." That's a good one, but I feel like everyone would pick that one, so I also like "You're dead son, get yourself buried," delivered dismissively by Burt Lancaster.